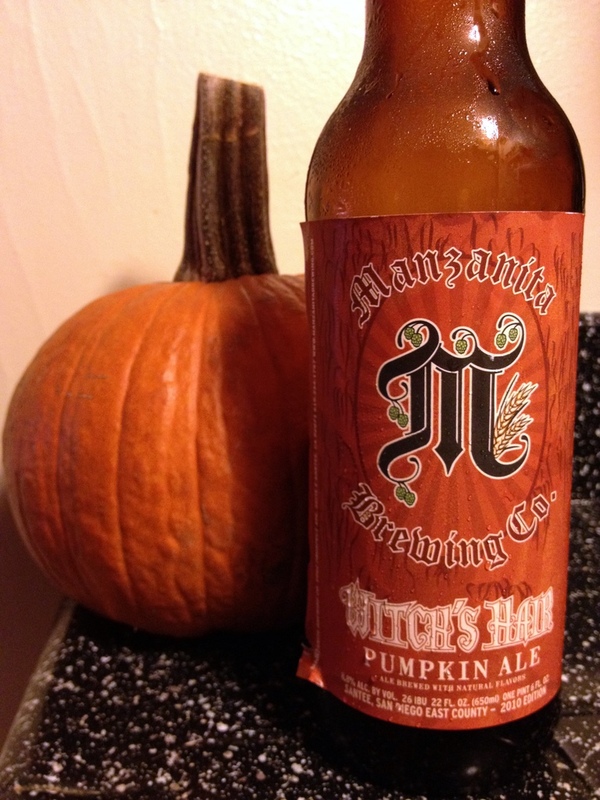 I thought I’d give pumpkin beers a second shot after last week’s SD Brewed (which one commenter called a drain pour). La Citrueille Céleste de Citracado isn’t your ordinary pumpkin beer. Sure it has pumpkin in it (grown at Stone Farms no less) but it also has yams, toasted fenugreek, lemon verbena and birch bark in it. 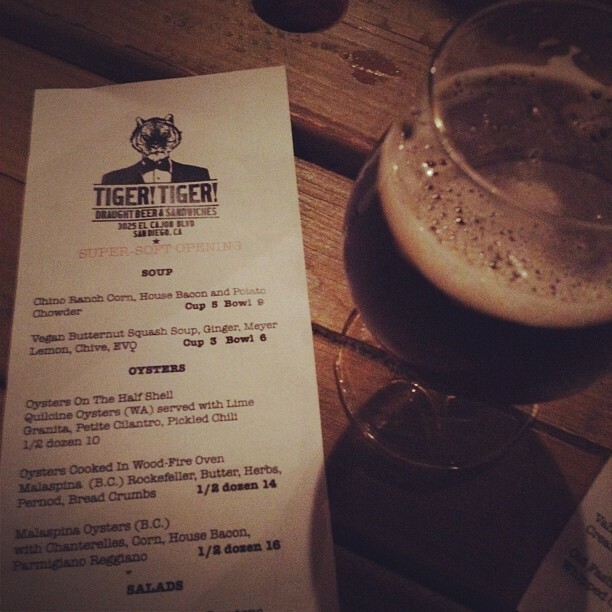 This certainly isn’t a pumpkin pie beer. The name roughly translates from French as The Celestial Pumpkin of Citracado. Citracado is of course the street on which Stone Brewing Co. is located (and where this collaboration beer was brewed). I say roughly because Citrueille is not a French word. The proper spelling of pumpkin is citrouille, I’m assuming the misspelling is a nod to Patrick Rue of The Bruery. 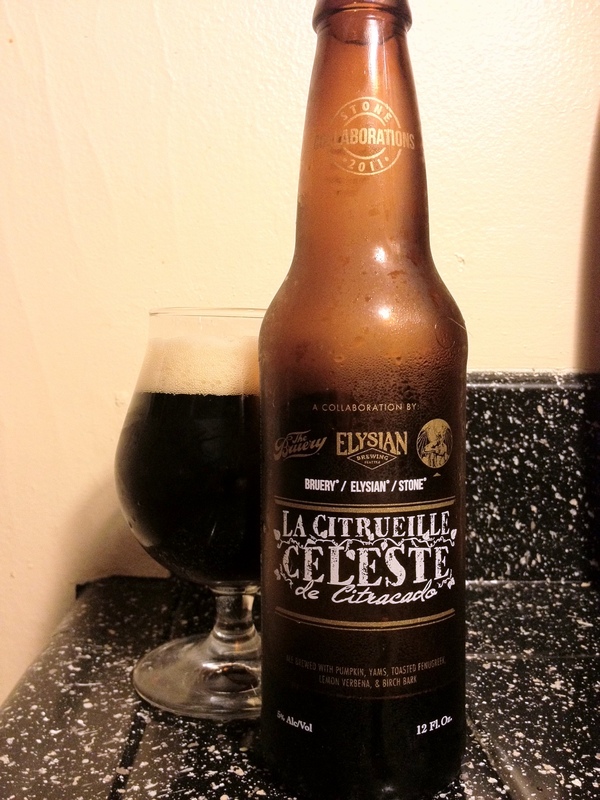 La Citrueille Céleste de Citracado was brewed at Stone as a collaboration with Orange County’s The Bruery and Seattle’s Elysian Brewing. There’s no sign of cinnamon, nutmeg or allspice here, the usual pumpkin beer ingredients, with aroma’s that waft out of the glass. La Citrueille Céleste de Citracado doesn’t smell like ordinary beers. There’s a bit of citrus, which I can only assume is the lemon verbena as well as some earthy woodiness which I assume to be the birch bark. The taste is good, but it’s hard to pick out the distinct flavors (partially because I’m not terribly familiar with all of them). To over simplify things I’ll say overall there’s spice and herb like bitterness with just a bit of sweetness up front. I don’t think I pick up any pumpkin or yam flavors, but I imagine compared with lemon verbena, fenugreek and birch bark those are the more subtle flavors. When cold the mouthfeel is rich, creamy and full feeling, much thicker than I expected from a 5% beer. As it warms it does become a bit sweet less pleasant. I’d recommend drinking this on the cooler side, around 45 degrees Fahrenheit. 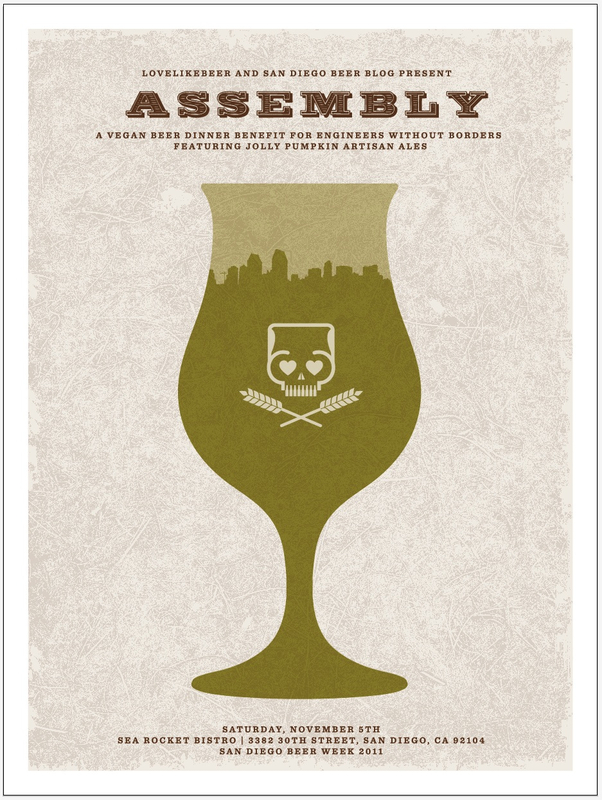 For all the crazy ingredients (fun fact: according to Wikipedia fenugreek is a galactagogue) this beer comes together nicely. AleSmith IPA recently picked up a Silver medal at the Great American Beer Festival in the American-Style Strong Pale Ale category. It might seem weird that a beer called IPA and marketed as such would be entered in any category other than an IPA, but that’s one of the interesting things about beer judging, brewers get to choose which category to enter their beers in (although the American-Style Strong Pale Ale and American-Style India Pale Ale categories are very similar). 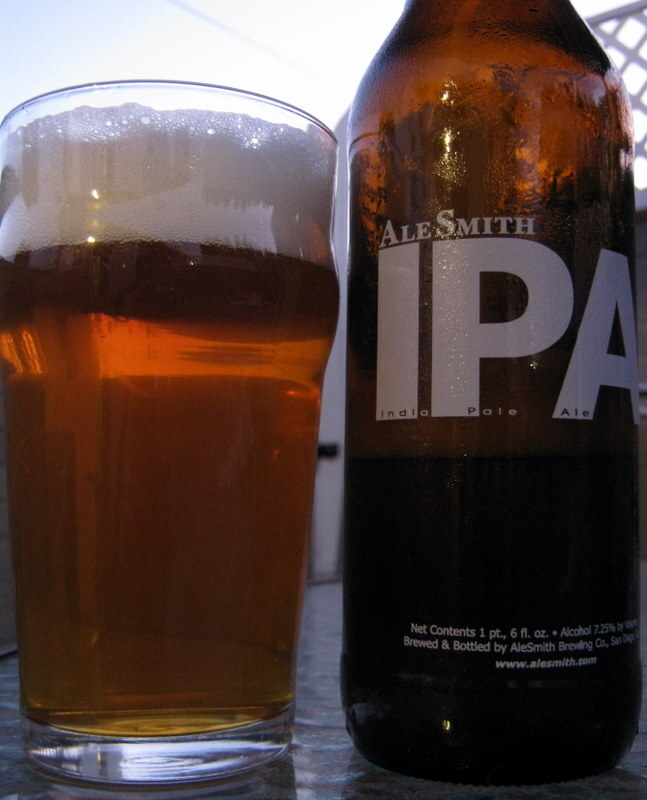 Until recently AleSmith IPA was bottle conditioned resulting in some sediment in the bottom of the bottle which could cause for a cloudy beer if not poured carefully. But AleSmith got a new bottling line this summer which allows them to force carbonate some of their bottled beers and results in a nice clean looking beer. AleSmith IPA has a big hoppy smell and a taste to go along with it. There’s a lot of pine and citrus bitterness fairly well balanced by some slightly sweet caramel like malt and maybe just a bit of toastiness from the malt as well. In San Diego, the land of big hoppy IPAs this might be considered a balanced IPA, but that’s not too say that it isn’t hoppy. At 7.25% ABV it’s a bit warm from the alcohol, constantly reminding you that it’s not a low ABV beer, but it’s still pretty easy drinking. It finishes dry with a bitter pine like hop finish. 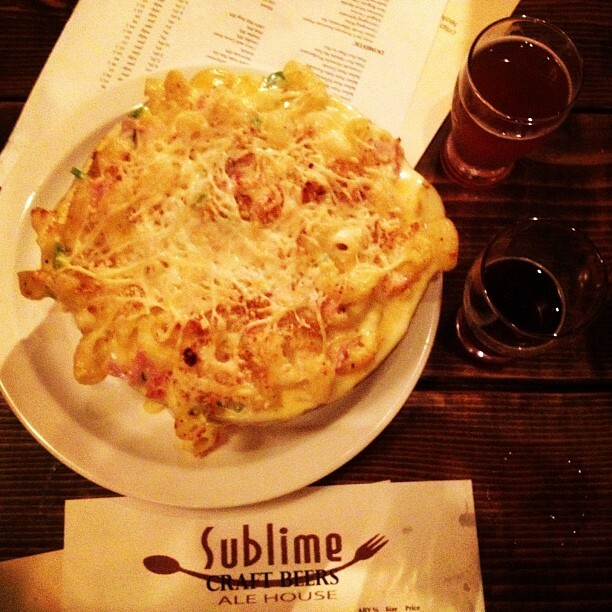 This isn’t the hoppiest of West Coast IPAs, but it’s no slouch. No complaints here especially because it’s widely available and reasonably priced. AleSmith doesn’t date their bottles so make sure to buy from a shop that has good turn over (I picked this bottle up for $5 at Bottlecraft and it was pretty fresh). The bottles still mention being bottle conditioned even if they’re from the new bottling line and were force carbonated, so don’t let that fool you into thinking you’re getting an old bottle. Just hold the bottle up to the light and look for sediment in the bottom, if it’s clear you can be fairly certain you’re getting a bottle from the new bottling line. 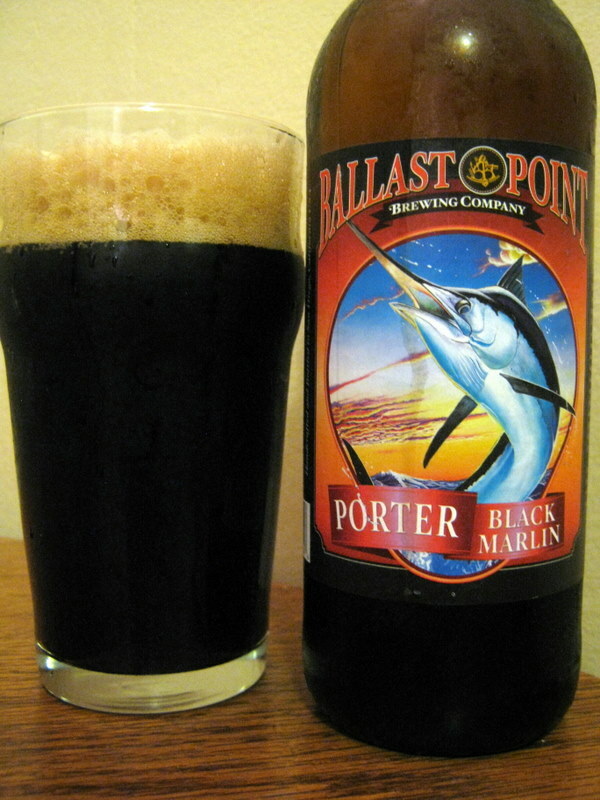 Until recently I can’t remember that last time I had Ballast Point’s Black Marlin Porter. I know I’ve had it in the past, it’s been around a long time and it’s around quite a bit it’s available year round and never too hard to find. Which means I’ve often overlooked it in favor of beers that might not be around the next time I’m at the bottleshop or pub. 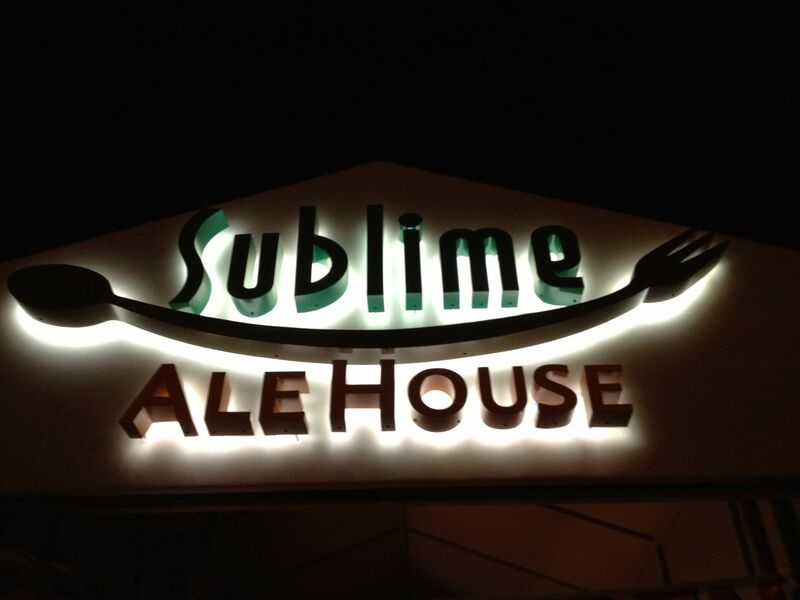 (I think I’ve mentioned this before, but one of my intentions with the San Diego Brewed column is to highlight some of the great beers being brewed here in San Diego that don’t get talked about much, maybe because they’re fairly ubiquitous.) To further highlight this point I know I’ve had Bourbon Barrel Aged Black Marlin, Black Marlin with Chocolate and Chipotle, and I think Black Marlin with Cocoa Nibs in the not too distant past, but it’s been a while since I had a pint of the regular Black Marlin Porter. With that in mind I picked up a 22oz bomber at Bottlecraft for around four bucks ($3.99 if I remember right). In the beer geek world that’s a great price, not many beers I buy are that cheap. The bottle doesn’t list it, but Ballast Point’s website shows that Black Marlin is 6% ABV and 45 IBU. Black Marlin is pretty easy drinking despite it’s dark (sometimes intimidating) color. The smell is roasty with more coming through in the taste. Roasted coffee flavors are an obvious comparison (probably due to roasted malts). There’s a light sweetness as well that’s a bit reminiscent of semi-sweet chocolate. The bitterness is more similar to coffee than hops until the very end when a long, pleasant hop bitter finish and aftertaste come along. One of my complaints about many porters is that they often feel thin (maybe due to the expectation that such a dark beer will be heavier) but that isn’t the case here, Black Marlin isn’t heavy but certainly isn’t thin and watery. A solid beer at a great price.